This Sunday I’m taking part in a panel at the inaugural Writers In The Park Festival and the topic for discussion is Love: From the Profane To Romance. As part of my preparation I got to thinking about how writing a novel with Romantic Elements has introduced me to a whole new part of the literary world. 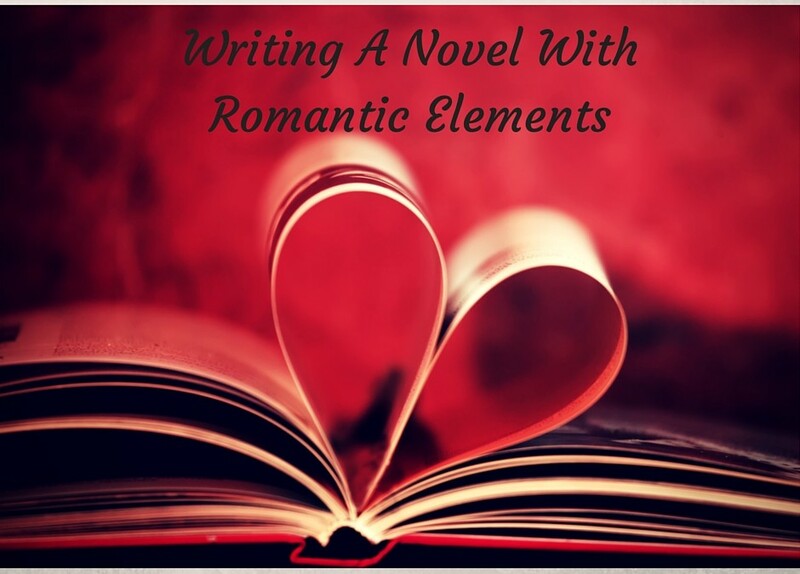 So I thought I’d share some thoughts with you today on what the phrase ‘romantic elements’ actually means and why I write novels with a romantic thread. A Romance novel is one in which the main storyline is all about the romantic relationship between a hero and heroine. Today’s romances though are not the old style Mills And Boons you might remember from the doctor’s surgery. The plots – and characters – are many and varied. There has been quiet a bit written lately about the evolution of the Romance genre so I won’t attempt to cover all of that again here. A novel with Romantic Elements is one in which the romance thread forms one part of the story and is combined with a number of other plot lines. This is the category my books fall into – the main character’s development or story arc is made up of a number of elements, a romantic relationship or love interest being one of them. 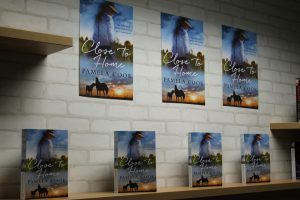 Close To Home wasn’t deliberately written as a romance. It originated from a conversation around a camp fire at a pony club event when the topic of hendra virus was raised. The discussion got quite heated as people debated the pros and cons of the vaccine even touching on the possibility that the rider’s – our children’s – lives could be at risk. It made me realise how much emotion and conflict the topic elicited and as all writers – and readers – know, every good story needs a good dose of both. That led me to ask What if? What if hendra did break out somewhere completely unexpected like the south coast? And that gave me a setting. What if the main character, who I’d decided would be a vet who worked for the Department of Primary Industries, had previously lived in the area? What if she didn’t really want to go back there? So that was where the story started but as Charlie’s story unraveled itself onto the pages I discovered there was a lot more to it. Complicated family relationships, dealing with grief and memories, and to my surprise as I continued to write, the issue of domestic violence crept into the plot. And then there was the love story. Part of Charlie’s development in the novel is to open her heart and allow herself to love and be loved. As her unexpected romance with Joel progresses she realises she has been missing something in her life and their blossoming relationship becomes an integral part of her journey. If anyone had told me a few years ago I would be writing novels classified as Romance I would not have believed them. But while my earlier tastes in reading – and writing – leaned more towards the literary and heavy side of life I have always loved a good Chic Flick. The signature line in one of my favourite films, Moulin Rouge, is: The greatest thing you’ll ever learn is to be loved and be loved in return. And when you really think about it, how right was Baz Luhrmann when he wrote those words. 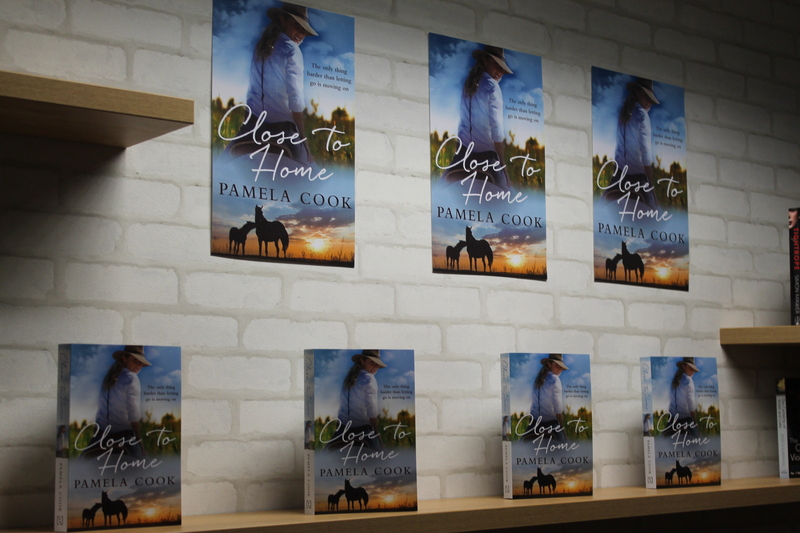 Being a part of the Rural Romance genre has opened my eyes to the wonderfully broad range of Romance novels that are out there on the shelves. It’s a vibrant, dynamic genre that many readers would love if they gave it a chance. Fabulous Pamela. I hadn’t understood romance writing like that. Thanks for linking to my website. See you on Sunday for our in depth discussion on love. Woo! Thanks Susanna. Glad you liked it. See you on Sunday. It’s so valuable to pause every now and then to really reflect on the elements that make a genre what it is. Your insights are spot on and I gained a great deal reading your perspective. Thank you. How wonderful that the inspiration for one of your novels came from a campfire chat – the location of oral storytelling for thousands of years. Such a privilege hopping with you this month on the Fiction Writers Blog Hop, Pamela. Hope you’re having a great day. Cheers! ‘Romance’ is so much bigger than the cliché. And you’re right, without love, what is there? Every book I’ve read in any genre – literary, fantasy, thriller even, has always had some element of a romantic relationship in it. Even Harry Potter for goodness sake! I was travelling back from Coffs on Sunday, so couldn’t go to Writers In The Park. Would love to have, though. Maybe next year?